Practical, inexpensive, and has many uses for your health and around the home — no wonder tea tree oil is hailed as a "jack of all trades" among nature's herbal oils. Here's what you need to know about tea tree oil. Tea tree oil (TTO), also called melaleuca oil, is made from the leaves of the tea tree plant (Melaleuca alternifolia), a member of the myrtle tree family, which is native to Australia. The tea tree plant is highly prized by primitive Australian communities for its unique healing ability. Numerous aboriginal communities along the east coast of Australia have a long historical use of tea tree as an antiseptic for skin conditions. They simply crushed the tea tree leaves and applied it to cuts, burns and infections. It was only in the 1920s, after Arthur Penfold,2 an Australian state government chemist, published a series of papers on tea tree oil's antiseptic properties that this oil's benefits became widely known. • Toothbrush cleaner — A drop of tea tree oil can disinfect your toothbrush, which is a breeding ground for mold and bacteria. • Mold treatment — Mix a drop with a cup of water, spray on moldy areas and then wipe clean. For an all-natural disinfectant, you can also sprinkle a few drops of tea tree oil along with baking soda on your bathroom or kitchen surfaces. • Natural pest control — The strong smell of tea tree oil naturally repels ants and other insects. I recommend making a natural insect repellent by mixing a few drops of tea tree oil with coconut oil. • Laundry freshener — Adding a few drops of this oil during the wash cycle will make your laundry smell crisper and kill organisms lurking in your washer. There are over 100 components in tea tree oil, but it is mostly made up of terpene hydrocarbons: monoterpenes, sesquiterpenes and their alcohols.7 Light, heat, exposure to air and moisture can affect TTO's stability, so make sure to place it in an airtight container and store it in a dark, cool and dry place. • Acne — A comparative study published in the Medical Journal of Australia10 found that TTO and benzoyl peroxide both had a significant effect in ameliorating patients' acne. Although the onset of action in tea tree oil was slower, it caused fewer side effects than benzoyl peroxide. • Fungal infections — A study published in the journal Tropical Medicine and International Health found that treating toenail onychomycosis with 2 percent butenafine and 5 percent TTO in cream cured 80 percent of patients. • Bacterial infections — A 2004 study11 funded by the National Center for Complementary and Alternative Medicine (NCCAM) found that TTO may be used as an adjunctive treatment for wounds, and may even help treat severe infections like methicillin-resistant Staphylococcus aureus (MRSA). However, large, well-designed clinical trials are lacking, and the jury is still out on whether tea tree oil really has this potential. Smaller-scale clinical studies on tea tree oil revealed TTO's potential for helping treat athlete's foot, dandruff, lice, gingivitis and genital infections. In aromatherapy, tea tree oil is said to be helpful in alleviating chest and head congestion, stuffy nose12 and other symptoms of colds and flu, especially when used in steam inhalation. Steam inhalation clears the congested nasal passages and kills bacteria. ✓Put the leaves in a pot and cover with water. Place a vegetable steamer in the pot over the top of the leaves and water. ✓Put a measuring cup inside the steamer. ✓ Place the lid on the pot upside down, so that the handle nub in the center is pointing toward the measuring cup. ✓ Boil the water to steam the leaves. The water will condense and evaporate, and the condensation will slide toward the handle and into the measuring cup. ✓ Put about four ice cubes on top of the upside down pot lid to hasten the steam condensation. ✓ Turn off the heat once all the ice has melted. ✓ Take off the lid and pour the ice cube water into the sink, and then remove the glass measuring cup. ✓ Pour the measuring cup contents into a separating funnel, but make sure the stopcock at the bottom of the funnel is closed. Close the top of the funnel and shake vigorously. ✓ Invert the funnel and then open to release the pressure. The oil will float to the top of the water, effectively separating the two substances. ✓ Put a glass bottle beneath the stopcock and release the water. Pour the oil into a tinted glass bottle. ✓ Repeat the process up to three more times to pull more oil from the leaves. However, I advise you to use tea tree oil with caution — it's meant to be used topically. Some mouthwash or toothpaste products contain tea tree oil but are generally safe, as they are not swallowed. The NCCAM recommends avoiding oxidized oil, which has been exposed to air, because it may trigger allergies more than fresh tea tree oil.20 Avoid using undiluted tea tree oil to avoid irritation as well. Instead, use it in gel, cream or lotion form. Look for an all-natural topical product that incorporates tea tree oil in safe quantities. Tea tree oil may also be toxic to pets if ingested. Veterinary toxicologists found that large amounts of undiluted tea tree oil applied to the skin of cats and dogs caused a hypersensitivity (allergic) reaction.23 If you are allergic to eucalyptol, use TTO with caution, as many formulas are mixed with eucalyptol. We use soaps every day and we don’t even think twice about it. We use them to maintain our hygiene and protect ourselves from germs and bacteria. However, latest discoveries show that the antibacterial chemicals which manufacturers commonly use in antibacterial soaps could be doing more harm than good. According to a new study out of South Korea the commonly used antibacterial additive, triclosan, showed cancer-promoting effects both in vitro and in vivo, a discovery which has left many experts shocked! The study conducted by Kyung-Chul Choi and colleagues from Chungbuk National University and the Korea Research Institute of Bioscience and Biotechnology primarily examined the effects of triclosan on the hormonal system. A known hormone-disruptor, triclosan has been shown in previous research to mimic the feminizing hormone estrogen, which in turn alters the normal production and expression of other hormones like testosterone. Having this in mind, it’s no wonder that the scientists discovered triclosan to be disrupting the endocrine system’s balance, causing abnormal cellular growths. It has an especially negative influence on women, triggering the growth of breast cancer cells, leading to the formation of malignant tumors. This was demonstrated both in cell samples and in live mice, and it seems that triclosan forms an ideal base for the proliferation of breast cancer. The scientists compared the frequency and progression patterns of breast cancer growths, both in vitro and in vivo, for subjects who were exposed to triclosan and those who weren’t and the results were more than clear. Triclosan stimulates abnormal cell growth and this gets even more serious if we consider the fact that it accumulates in the body as time passes by, causing additional problems. “Although the doses of EDCs were somewhat high, we did this to simulate the effects of daily exposure, as well as body accumulation due to long-term exposure, simultaneously in animal experiments,” stated Choi. “Thus, exposure to EDCs may significantly increase the risk of breast cancer development and adversely affect human health,” – it was stated in the paper. During their research they were able to identify another antibacterial chemical, octylphenol, with similar cancer-causing properties. Even though it’s not as commonly used as triclosan, it was revealed that this chemical additionally harms our system, alongside triclosan, and stimulates abnormal cell growth and their proliferation, making it clearer than ever how toxic these substances are. So which products contain triclosan? In light of everything above mentioned, a great number of cosmetic product manufacturers started changing their formula, removing triclosan from their product, which is largely thanks to the media pressure. Below you can find a list of products which are or used to be formulated with triclosan, but this is not the complete list. Always try to look for triclosan in the products you use. Some retail outlets may still carry older formulations. Look out for labels that cay: “antimicrobial protection.” Some antibacterial soaps may use triclosan’s cousin, triclocarban, in place of triclosan. Soap: Dial® Liquid handsoap and bodywash; Tea Tree Therapy™ Liquid Soap; Clearasil® Daily Face Wash; Dermalogica® Skin Purifying Wipes; DermaKleen™ Antibacterial Lotion Soap; CVS Antibacterial Soap, Ajax Antibacterial Dishsoap, Ultra Concentrated Dawn Antibacterial Dishsoap, Kimcare Antibacterial Clear Soap, Bath and Body Works Antibacterial Hand Soaps, Gels and Foaming Sanitizers. Cosmetics: Garden Botanika® Powder Foundation; Mavala Lip Base; Movate® Skin Litening Cream HQ; Paul Mitchell Detangler Comb, Revlon ColorStay LipSHINE Lipcolor Plus Gloss, Babor Volume Mascara, Phytomer Perfect Visage Gentle Cleansing Milk, Phytomer Hydracontinue Instant Moisture Cream, Bath and Body Works Antibacterial Moisturizing Lotions. Deodorant: Arm and Hammer® Essentials Natural Deodorant; Queen Helene® Tea Trea Oil Deodorant and Aloe Deodorant; DeCleor Deodorant Stick; Epoch® Deodorant with Citrisomes. First Aid: SyDERMA® Skin Protectant plus First Aid Antiseptic; Healwell Plantar Fasciitis Night Splint; Solarcaine® First Aid Medicated Spray; Nexcare™ First Aid, Skin Crack Care; : Universal Cervical Collar with Microban. Kitchenware: Farberware® Microban Cutting Boards; Franklin Machine Products FMP Ice Cream Scoop SZ 20 Microban; Hobart Semi-Automatic Slicer; Chix® Food Service Wipes with Microban; Compact Web Foot® Wet Mop Heads. Other Personal Care Products: Murad Acne Complex® Kit, ®; Diabet-x™ Cream; Scunci Microban Comb, Sportslick Pocket Slick. Clothes: Biofresh® socks, undergarments, tops and bottoms. Other: Bionare® Cool Mist Humidifier; Deciguard AB® Antimicrobial Ear Plugs; Bauer® Re-Akt hockey helmet and 7500 hockey helment; Miller Paint Acro Pure Interior Paint; Holmes Foot Buddy™ HMH120U Antimicrobial Foot Buddy Foot Warmer, Blue Mountain Wall Coverings, California Paints®, Davis Paint® Perfection, Hirschfield’s Paint®,O’Leary Paint®, EHC AMRail Escalator Handrails, Dupont™ Air Filters, Winix Dehumidifiers, J Cloth® towels, select Quickie cleaning products, Kimberly Clark® WYPALL X80 Towels, Canopy® kitchen towels, ALUF Plastics®, BioEars earplugs, Petmate® LeBistro feeders and waterers, Infantino cart covers and baby carriers, Oreck XL®, Bissell Healthy Home Vacuum™, NuTone® Central Vacuum systems, Rival® Seal-A-Meal® Vacuum Food Sealer, CleenFreek SportsHygiene Yoga Mat, Resilite Sports Products, Rubbermaid® Coolers, Stufitts sports gear, Venture Products® fitness mats, Custom Building Products, DAP®Kwik Seal Plus®, Laticrete, Niasa Biquichamp® mortar grout and sealant, ProAdvanced Products. There are a lot of other manufactures which use toxic chemicals, so we recommend you to carefully read the labels and avoid products with these substances: triclosan, octylphenol and triclorban. We first heard about the dangers of these chemicals from consumer groups like Beyond Pesticides and the Environmental Working Group (EWG) who have worked tirelessly to raise the awareness about the dangers of triclosan. They were the first to point out its endocrine-disrupting properties and advocate for its removal from personal care products. Their efforts seem to be in vain, since a lot of manufacturers still use these chemicals without thinking twice about the consequences. Additionally, establishing an optimal circadian rhythm is important, so going outside, ideally barefoot, shortly after waking up and close to sunrise, exposing your eyes to natural sunlight for 3 to 5 minutes, is an important health practice. "For every 100 [milligram per day] mg/day increase in magnesium intake (up to a point), the risk of developing type 2 diabetes decreases by approximately 15 percent.11 Most magnesium intake in these studies was from dietary sources, not supplements. Clinical studies have shown improvement in insulin sensitivity with magnesium intake between 300 and 365 mg/day. Researchers were also able to show that low magnesium levels resulted in impaired insulin secretion and lower insulin sensitivity." • Black sesame: 1 ounce of sesame seeds contain about 101 mg of magnesium. • Pumpkin: 2 tablespoons of pumpkin seeds will provide you with 74 mg of magnesium (about 25 percent of your recommended daily intake). Pumpkin seed butter can be made at home; simply blend whole, raw pumpkin seeds in a food processor until smooth. Besides magnesium, spinach is also a superb source of potassium, low levels of which have been linked to an increased risk of diabetes and diabetes complications. Cooked spinach provides 839 mg of potassium per cup. For comparison, one cup of banana — well-known as a potassium-rich food — contains 539 mg of potassium. One way to dramatically increase your spinach intake is to juice it. You can also add it to salad along with other mixed greens. Imagine you are at the doctor’s office for help with a specific health concern. After a full examination, your doctor pulls out a prescription pad to write you a script for – gasp – a probiotic strain. The prescription is handed to you, and you take a look at it. Looking up in surprise, you ask the doctor if the recommendation is indeed for a probiotic rather than an antibiotic. The doctor nods his/her head and explains that the particular strain recommended for your ailment has been found to have an 86% success rate as tested in a double blind, randomized, placebo-controlled study. You ask about side effects, and your doctor replies that there — ARE NONE. You are (understandably) amazed. You take your prescription, fill it, take as directed, and your condition is taken care of…with minimal discomfort. You even experience other health issues clearing up — that you thought were completely unrelated. Sound like a far-fetched scenario? Depending on how up-to-date and open minded your health provider is, this may already be a reality. And it may become more of a reality in mainstream medicine in the future. The reason? Researchers are taking quite an interest in probiotic strains and their effects on human and animal health. In recent years there has been a surge in the study of probiotics, the human microbiota, and other related applications. The World Health Organization defines probiotics as “live organisms which when administered in adequate amounts confer a health benefit to the host”. When probiotics are taken in sufficient and therapeutic amounts they can do the work of crowding out pathogens and using the nutrients and space that would otherwise be used by the pathogens. Probiotics produce and secrete molecules like bacteriocins (a protein produced by bacteria of one strain that is active against those of a closely related strain), hydrogen peroxide, antibiotics and more, that control the growth and survival of surrounding microorganisms. Probiotics “chat” with the immune system part of the gut (epithelial cells, Peyer’s patches M cells, and immune cells) encouraging them to have a response to pathogens and to contribute to the mucosal barrier, among other beneficial activities. All this research has really exciting implications. Probiotics, rather than harmful prescription drugs with their many, dangerous, and even life-threatening side effects could become common and be used effectively by both mothers and health care practitioners alike. As consumers and patients let us be asking, no demanding, these kind of solutions for our family! Below I have given 8 examples of specific conditions helped by specific probiotic strains (stay tuned for why the specific strain is important). If your particular health challenge is not listed, please refer to my book a Mother’s Guide to Probiotics for a complete list of ailments matched to the best probiotic strains(s) as determined by the scientific research available today. A meta-analysis of 34 double blind, placebo-controlled, randomized studies that included 4,138 people, concluded that the probiotic strain, Lactobacillus rhamnosus GG, when given at the same time as antibiotics, had a greater than 60% reduced risk of antibiotic-associated diarrhea. Below are further examples of common conditions — and the probiotic strains tested to be effective in treating them. Yes! There are even probiotics for anxiety. Our digestive tract has a profound effect on our mood and anxiety is no exception. This all too common, “normal” condition is anything but normal and is a sign of distress and imbalance in baby. These probiotic strains have been found via research to help alleviate baby’s pain. Constipation has many causes, from the top — to the bottom. Brain function, poor chewing, poor bile flow from the gallbladder, insufficient dietary water causing the colon to re-absorb what little water there is, to name a few. Probiotics play a part in stimulating motility (movement), and secretions that help bowel movements proceed normally and regularly. Dental health is a hot topic in alternative health circles. Initial evidence strongly indicates that probiotics may play a role in healthy teeth. Eczema can be one of the trickiest skin conditions to treat. It is typically a multi-faceted approach (internal healing and external lifestyle changes combined) that often does the trick. Ouch! Mastitis is painful, and usually comes when you are at your most vulnerable — breastfeeding a little one. Right now there are only a couple of probiotic strains tested for effective use against mastitis, and the one probiotic product that contains it is only available in Australia. I am hopeful that will change in the future. If you want to learn more about specific strains and conditions…and why the specific strain counts, OR if you need help with selecting a probiotic brand, matching up probiotics strains with your specific objectives, with tips on dosing for kids and adults, I recommend you pick up a copy of my ebook, the Mother’s Guide To Probiotics. Hawrelak, JA. (ed). Probiotic Advisor. Illuminate Natural Medicine, 2015 https://www.probioticadvisor.com/advisor/. Accessed 30 September 2015. According to an old South American proverb, "good broth will resurrect the dead." While that's undoubtedly an exaggeration, it speaks to the value placed on this wholesome food, going back through the annals of time. First and foremost, homemade bone broth is excellent for speeding healing and recuperation from illness. You've undoubtedly heard the old adage that chicken soup will help cure a cold, and there's scientific support for such a statement. "Stock contains minerals in a form the body can absorb easily—not just calcium but also magnesium, phosphorus, silicon, sulfur and trace minerals. It contains the broken down material from cartilage and tendons--stuff like chondroitin sulphates and glucosamine, now sold as expensive supplements for arthritis and joint pain." Bone broth is excellent for "healing and sealing" your gut, to use Dr. Natasha Campbell-McBride term. Dr. Campbell's GAPS Nutritional Protocol, described in her book, Gut and Psychology Syndrome (GAPS), centers around the concept of "healing and sealing" your gut through your diet. As the featured article states, there are many reasons for incorporating good-old-fashioned bone broth into your diet. The following health benefits attest to its status as "good medicine." ✓ Reduces joint pain and inflammation, courtesy of chondroitin sulphates, glucosamine, and other compounds extracted from the boiled down cartilage ✓ Fights inflammation: Amino acids such as glycine, proline, and arginine all have anti-inflammatory effects. Arginine, for example, has been found to be particularly beneficial for the treatment of sepsis5 (whole-body inflammation). Making your own bone broth is extremely cost effective, as you can make use of left over carcass bones that would otherwise be thrown away. And while the thought of making your own broth may seem intimidating at first, it's actually quite easy. It can also save you money by reducing your need for dietary supplements. As mentioned above, bone broth provides you with a variety of important nutrients—such as calcium, magnesium, chondroitin, glucosamine, and arginine—that you may otherwise be spending a good deal of money on in the form of supplements. "Gelatin was universally acclaimed as a most nutritious foodstuff particularly by the French, who were seeking ways to feed their armies and vast numbers of homeless in Paris and other cities. Although gelatin is not a complete protein, containing only the amino acids arginine and glycine in large amounts, it acts as a protein sparer, helping the poor stretch a few morsels of meat into a complete meal." Besides that, CAFO animals are fed an unnatural diet that is not beneficial for their intestinal makeup, and they're also given a variety of veterinary drugs and growth promoters. You don't want any of these potentially harmful additives in your broth, so make sure to start off with an organically-raised product. Please note the addition of vinegar. Not only are fats are ideally combined with acids like vinegar, but when it comes to making broth, the vinegar helps leech all those valuable minerals from the bones into the stockpot water, which is ultimately what you'll be eating. The goal is to extract as many minerals as possible out of the bones into the broth water. Bragg's raw apple cider vinegar is a good choice as it's unfiltered and unpasteurized. There are lots of different ways to make bone broth, and there really isn't a wrong way. You can find different variations online. Here, I'll offer some basic directions. If you're starting out with a whole chicken, you'll of course have plenty of meat as well, which can be added back into the broth later with extra herbs and spices to make a chicken soup. I also use it on my salad. Both broth and fermented foods, such as fermented veggies, are simple and inexpensive to make at home, and both also allow you to make use of a wide variety of leftovers. When you add all the benefits together, it's hard to imagine a food that will give you more bang for your buck. It’s a disease of the nervous system which results in symptoms such as loss of coordination, weakness, and paralysis. The exact cause is unknown. Strong anti-inflammatory or immune-suppressing drugs are the standard treatments, but in advanced cases called progressive multiple sclerosis (MS), there are no effective treatments available. A new study shows biotin may help cases of progressive multiple sclerosis. The research was discussed at the 2015 annual American Academy of Neurology meeting. Biotin is a vitamin popularly known for its role in nail and hair health. It’s important for neurological function as well. Previous research conducted by the same group of scientists showed that almost 90% of patients with MS improved after taking large doses of biotin. Symptoms were evaluated using an Expanded Disability Status Scale. Biotin supports the formation of the myelin sheath, a fatty substance that insulates nerves. It also increases energy production for nerve cells. 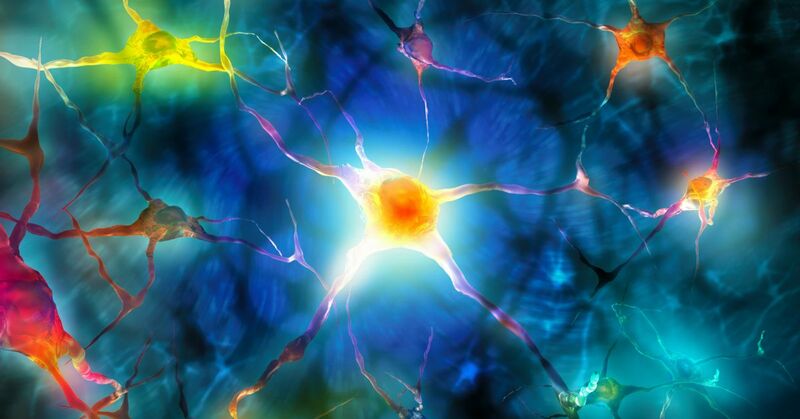 Multiple sclerosis is characterized by the loss of the myelin sheath. Biotin deficiencies may result in muscle weakness, visual problems, and numbness and tingling of the extremities. For overall health, approximately 600 mcg are suggested daily. Higher doses are tolerated well, since the vitamin is water soluble and does not accumulate in tissues of the human body. Available at: http://www.nationalmssociety.org/What-is-MS/MS-FAQ-s. Accessed May 28, 2015. Available at: http://www.abstracts2view.com/aan/view.php?nu=AAN15L1_PL2.002&terms=. Accessed May 28, 2015. 3. Mult Scler Relat Disord. 2015 Mar;4(2):159-69. The combination of honey and cinnamon was proved to cure most illnesses. Most countries throughout the world produce honey, and scientists all around the globe note it to be extremely effective medicine for all sorts of diseases. Another advantage of honey, is that we can use it without any side effects. Modern science claim that although honey is sweet, it won’t affect diabetics when taken in the right dosage. Western scientists have researched the following facts. Heart Disease: Replace the jam and jelly and prepare a whole new breakfast by making honey and cinnamon powder paste, and spread it on toast. 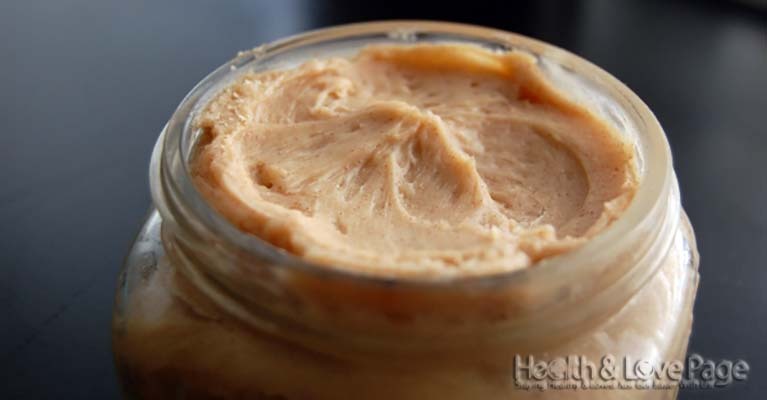 This paste decreases the cholesterol levels and has a potential to prevent heart attack. According to studies, even if you have already experienced an attack, this paste can keep the next one miles away from you. Heart beat can be as well strengthen by regular consumption of this honey cinnamon combination. Different nursing homes in Canada and America have successfully treated their patients, and have discovered that honey and cinnamon mix revitalize the veins and arteries as one ages, and has problems with their flexibility and blockage. Arthritis: Adding 2 tablespoons of honey and 1 teaspoon of cinnamon powder in a cup of hot water is extremely beneficial for people suffering from arthritis. It can cure even chronic arthritis if taken on a daily basis. A research that was conducted recently at the Copenhagen University discovered that out of 200 patients treated with a mix of 1 tbsp. of honey and ½ teaspoon of cinnamon powder prior to breakfast, 73 of them have completely eliminated the pain in the period of one week, and within a month, most of those who weren’t able to walk or move around due to arthritis, were now starting to walk with no pain. Bladder Infections: Add 1 teaspoon of honey and 2 tablespoons of cinnamon powder in a glass of lukewarm water. Consuming this mixture will kill the germs in the bladder. Cholesterol: When a patient with cholesterol was given a mixture of 3 teaspoons of cinnamon powder and 2 tablespoons of honey added in 16oz of tea water, it decreased his/her cholesterol level by 10 % in a period of just 2 hours. Similar to patients with arthritis, regular consumption of this mixture (3 times a day) can cure any patient with chronic cholesterol. One journal says that if people take pure honey with food on a daily basis it will relieve cholesterol complaints. Colds: Daily consumption of 1 tbsp. of lukewarm honey combined with ¼ spoon of cinnamon powder in the period of 3 days, will cure most colds, chronic coughs, and clear the sinuses. Moreover, it has excellent taste. Upset Stomach: Honey combined with cinnamon powder cures stomach pain, and it is considered to thoroughly clear stomach ulcers. Gas: Japanese and Indian studies showed that ingestion of honey and cinnamon powder mix relieves the stomach from gasses. Immune System: Consuming this powerful combination of honey and cinnamon powder, boosts the immunity and protects the organism from viral and bacterial attacks. Honey was found to contain iron and various vitamins in large amounts. Regular intake of honey strengthens the white blood cells, which contain our DNA, to fight viral and bacterial diseases. Indigestion: If you sprinkle some cinnamon powder on 2 tbsp. of honey and consume it before eating your meal, it will digest the heaviest meals and relieve acidity. Influenza: A Spanish scientist has proved that there’s a natural ingredient contained in honey which destroys the influenza germs and prevents flu. Longevity: Regular consumption of tea prepared with cinnamon powder and honey arrests the old age. Prepare the tea by adding 4 teaspoons of honey and 1 teaspoon of cinnamon powder In 3 cups of boiling water. Consume ¼ cup of the tea, 3 to 4 times a day. It maintains your skin fresh and soft, and moreover it will increase your life span. It is said that even a 100 year old who consume the tea will begin doing the chores of a 20-year old. Sore or Raspy Throat: Eat 1 tbsp. of honey and sip till it’s gone, whenever you feel your throat is becoming sore or raspy. Do this every 3 hours until you notice the symptoms are gone. Pimples: A regular use of a paste prepared with 1 teaspoon of cinnamon powder and 3 tablespoons of honey can help you get rid of all pimples from the root within 2 weeks. Apply it on the pimples before you go to bed and rinse it with warm water the next morning. Skin Infections: If you apply equal quantities of honey and cinnamon powder on the affected parts, it can cure ringworm, eczema, and other skin infections. Weight Loss: Boil honey and cinnamon powder in a cup of water, and consume it twice a day, half an hour before breakfast on an empty stomach, and once again at night before going to bed. If you take it regularly, it can lower the weight even of obese people. Moreover, regular consumption of this drink, prevents accumulation of fat in the body, although the person might eat a high calorie foods. Cancer: Regular consumption of 1 tablespoon of honey and 1 teaspoon of cinnamon powder can successfully cure advanced cancer of the bones and stomach, according to recent research in Australia and japan. Consume it 3 times a day, in the period of one month. Fatigue: According to recent study, the sugar sustained in honey is more helpful than it’s harmful to the strength of our body. If senior citizens consume equal amounts of cinnamon powder and honey, they will be more flexible and alert. According to Dr. Milton’s research, daily consumption of a glass of water with ½ tablespoon of honey and a bit cinnamon powder, twice a day (in the morning and in the afternoon about 3 P.M), can increase the vitality within a week. Bad Breath: Most people in South America use hot water with added 1 teaspoon of honey and cinnamon powder as a gargle, in order to keep their breath fresh during the day. Hearing Loss: Equal amounts of honey and cinnamon powder regularly consumed in the morning and before bed, restore healing. Toothache: Prepare a paste of 5 teaspoons of honey and 1 teaspoon of cinnamon powder and apply it on the aching tooth. You can apply the paste 3 times a day, until the toothache completely stops. Frankincense has a significant meaning in Christianity, and is believed to be one of the gifts offered by the three wise men to the newborn Jesus. Today, this fragrant resin is transformed into an essential oil that's valued not only in religious practice, but also in aromatherapy and natural health. Read on to learn more about frankincense oil. The health benefits of frankincense oil are mostly attributed to its anti-inflammatory, astringent, antiseptic, disinfectant, digestive, diuretic, and expectorant properties. It also has cicatrisant, carminative, cytophylactic, emenagogue, uterine, and vulnerary effects. Yes, frankincense is generally safe. However, I advise doing a spot test first, to check if you have any sensitivity to this oil. When taking frankincense oil internally, it's best to dilute a drop in an edible carrier oil (like coconut oil), a teaspoon of honey, or a glass of purified water or any non-acidic, non-dairy beverage.26 You can also put a drop or two under your tongue.27 However, ingesting this oil is not recommended for children ages 6 and below. Older children and teens may also require higher dilutions. You must also remember that not all frankincense oil brands are made for internal use, so make sure you check the label before taking it.